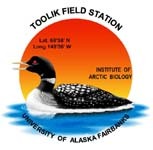 » Long term response of arctic tussock tundra to thermal erosion features: A modeling analysis. Tussock tundra recovery after a thermal erosion event: saturating nutrients. This file contains the results for 100 years of tussock tundra recovery after a thermal erosion event. This simulation is of TEF recovery under saturating nutrient conditions. Data is presented for day 250 of each year.